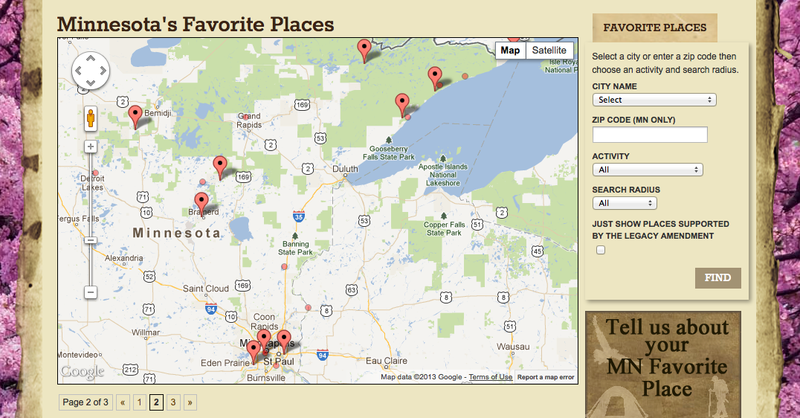 Tell us (and the world) all about your favorite place in Minnesota! Conservation Minnesota has announced a new venue for people to share about the places in Minnesota that are special to them. "Nearly everyone in Minnesota has a favorite place they go to enjoy the great outdoors around the state. Be it a park in the middle of the city or a place well off the beaten path, these places are what we look to when we tell the story about why we think Minnesota is such a great place to live." "The web tool, "Minnesota's Favorite Places" allows people to submit descriptions of their favorite places, as well as review the submissions of others. The state map also includes a search tool that allows users to find locations close to where they are, or where they are going, to check out places other people recommend. The hope of the site is to get more people excited about the great outdoors and committed to helping preserve the abundance of opportunity that exists." What a difference 4 days make!